The plunger has been custom made in natural-colored nylon 6/6 by reverse-engineering an original plunger. 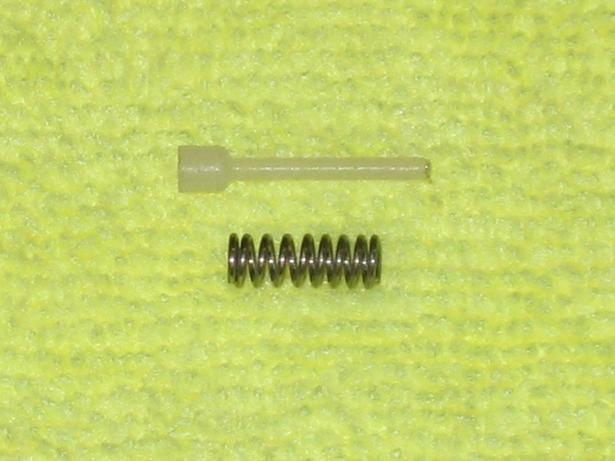 The spring has been custom made from type 302 stainless steel by reverse engineering an original spring. All parts are made right here in the USA! Complete rebuild instructions that illustrate the use of this kit can be found on the Muscle Car Research web site. Dealer inquiries are welcome - please contact us for pricing.